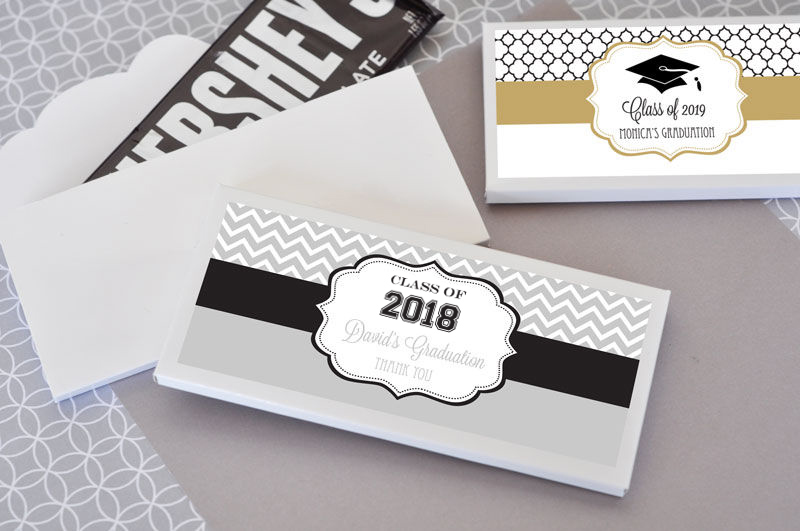 You have found an elegant and easy personalized graduation candy bar wrappers. You by the chocolate and we provide the great envelopes. They are so much nicer and more sturdy than the flimsy paper wrappers with foil. What is even nicer, is that you don't need to bother with glue or foil. 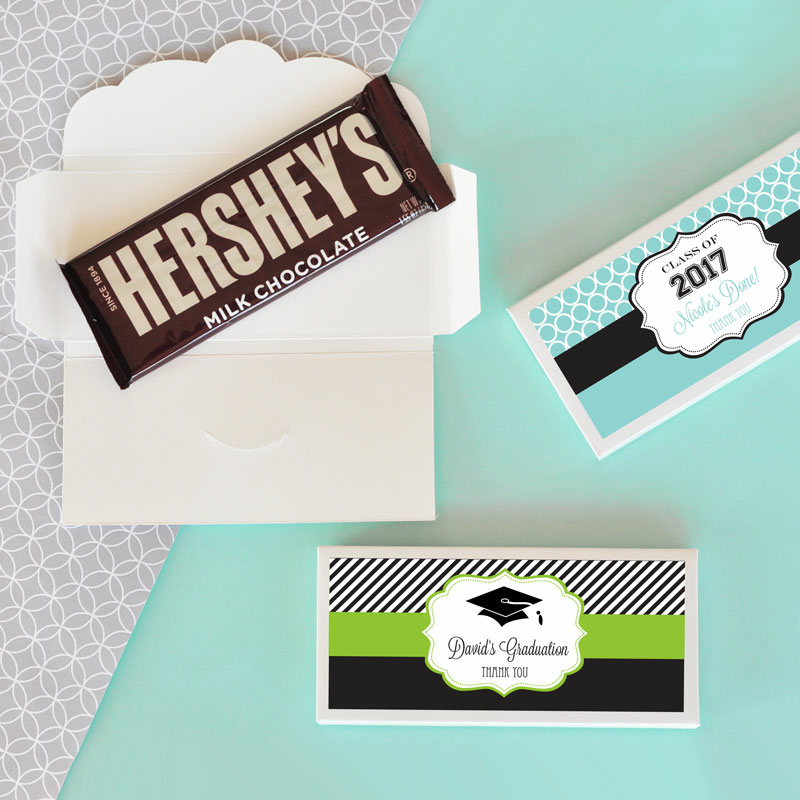 Just fold an envelope, insert the candy bar, and attach your custom label. 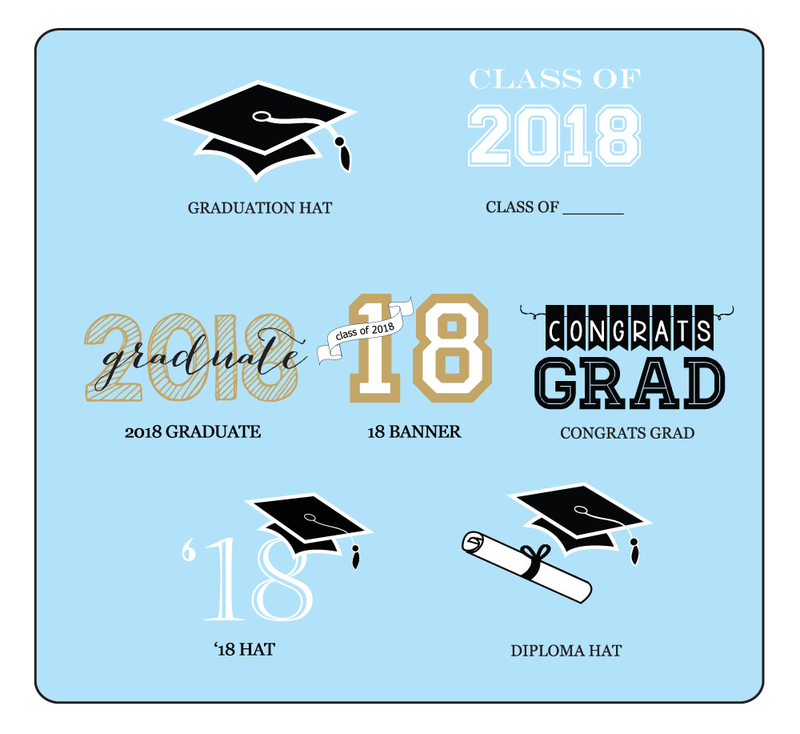 With all of your color choices you can design your custom label showing off your school colors and message to guests. 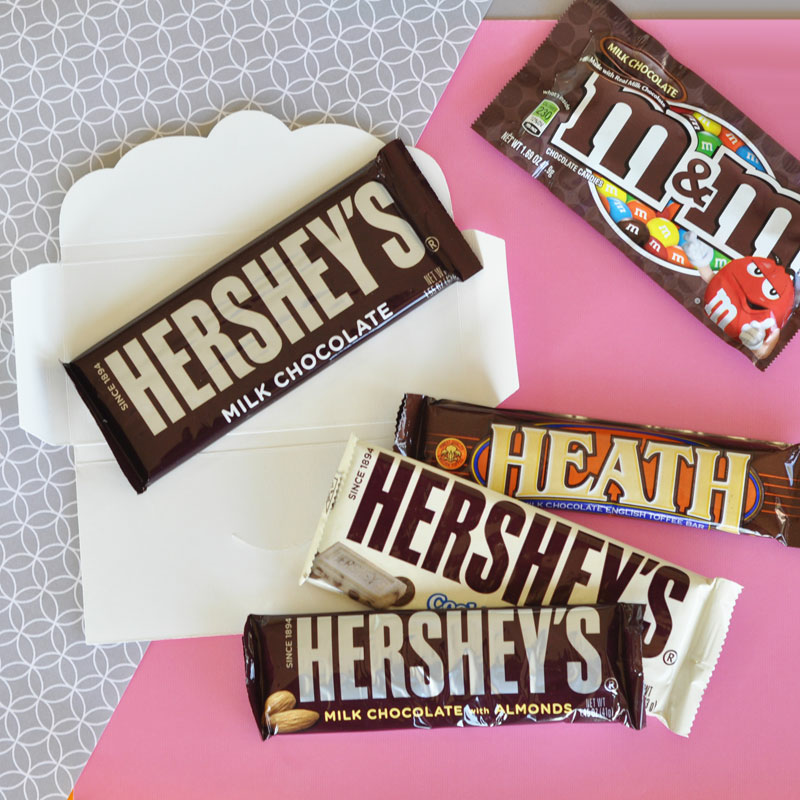 Wrappers hold chocolate bars that weigh approximately 1.55 oz. They can accommodate candy bars that fit in a 2.7" x 5.8" space. Some of the candy bars are shown in the photos above. Chocolate bars and candy are not included. 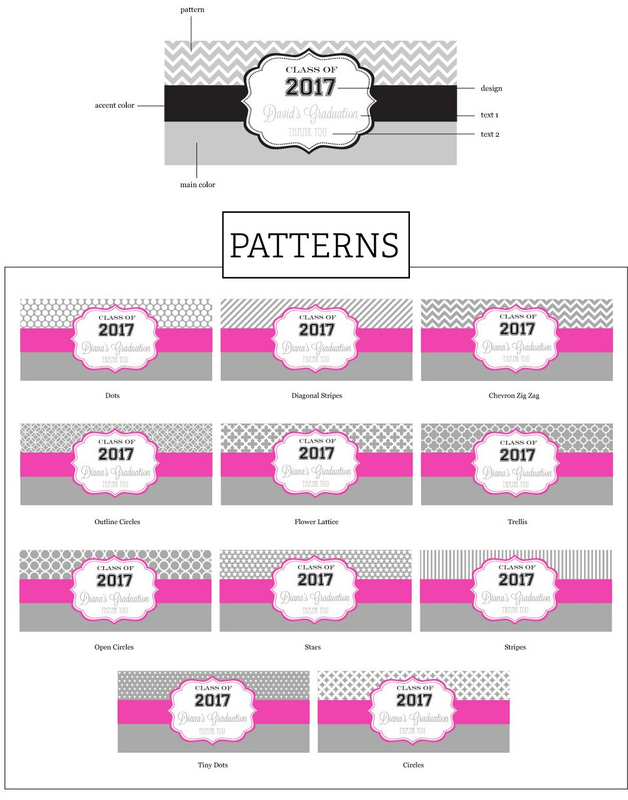 The envelope arrive separate from labels. Some assembly required: affixing labels to boxes. 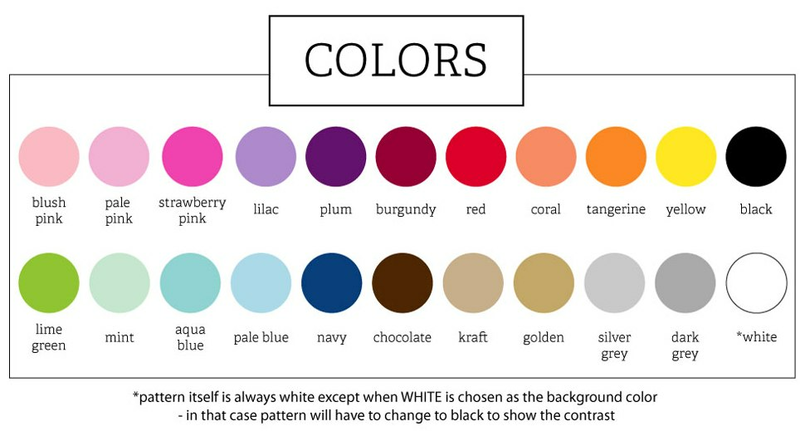 Your personalized label allows for two lines of text with a maximum of 22 characters on line 1 and 20 characters on line 2. The quality of the candy box holder was very sturdy and of high quality. The logo I choose to put on the box was first class. Every guest was pleased with their gift. i will use these for my next party.